This episode was recorded this past week! 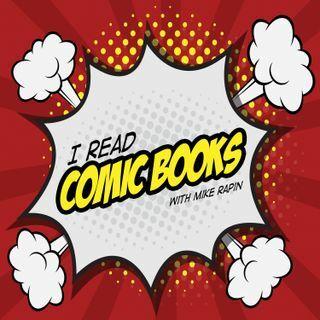 This is the first in a new regular series hosted by Tia Vasiliou, in which she chats with some of her favorite people in comics about everything and nothing (and maybe also comics). In our first episode, she talks with Kieron Gillen (The Wicked + The Divine, Star Wars, and more) about crying, RPGs, and maybe also comics, like 4 Kids Walk Into A Bank and Image Expo reactions. This Is Not An Interview will alternate with our monthly Bonus Minisode and ... See More will appear in your regular feed! Stay subscribed!